On June 23, President Barack Obama summoned Gen. Stanley McChrystal to the White House after comments made in a Rolling Stone magazine profile. A week later, the U.S. Senate confirmed Gen. David Petraeus as the new top U.S. commander in Afghanistan. Zach Messitte and Joshua Landis discuss how the war in Afghanistan will change under the new leadership. 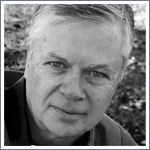 And author and foreign correspondent Stephen Kinzer joins World Views by phone to talk about his new book Reset: Iran, Turkey, and America's Future. Kinzer argues that deep-seeded longing for democracy in Turkey and Iran would make them "good soul mates" for the United States.